Theodore Souris was born on August 5, 1925, in Detroit, Michigan. He attended the elementary and secondary schools in Detroit and Grosse Pointe. Souris enrolled in the University of Michigan at the age of 16. However, in 1943, at the age of 17, he enlisted in the Air Force and participated in the cadet training program until he was discharged in 1945. He obtained his A.B. from the University of Michigan in 1947. He earned his LL.B. from the University of Michigan Law School in 1949. Souris practiced law in Detroit from 1949 to 1959, when he was appointed by Governor G. Mennen Williams to the Wayne Circuit Court. In addition, in 1951, he was appointed general counsel to Philip A. Hart who was then the director of the U.S. Office of Price Stabilization for Michigan. For more information about Justice Souris’ career, click here. On January 5, 1960, he was appointed to the Michigan Supreme Court and elected in November 1960 to a term expiring January 1, 1969. He is the youngest person, at age 33, to have served as a Justice of the Michigan Supreme Court and was the first person of Greek heritage to serve on any state’s highest appellate court. 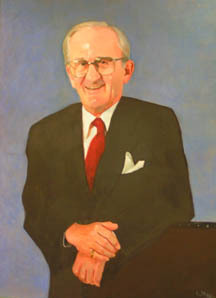 Justice Souris died on June 21, 2002. He is survived by his wife, Karla Scherer, and his children, two sons and two daughters.